Spoilers ahead for A Time for War, A Time for Peace! The epic miniseries comes to a shocking conclusion -- one that will leave the Star Trek universe changed forever. A Time for War, A Time for Peace is the ninth and final novel in the A Time To series. Unlike other entries in the series, this novel is not a part of a duology, and is the only book in the series penned by author Keith R.A. DeCandido. After Picard's "fall from grace" in the first novel of the series, A Time to Be Born, the time has finally come for the Enterprise's performance over the past few novels to be assessed. To that end, Starfleet dispatches a team to conduct an inspection, consisting of Captain Wai-Lin Go, Dr. Toby Russell, and Sabin Genestra. Dr. Russell you may remember from the TNG episode "Ethics"; she came aboard the Enterprise to assist in treating Worf for injuries sustained in an accident, and butted heads with Dr. Crusher which led to a pretty nasty professional falling-out. 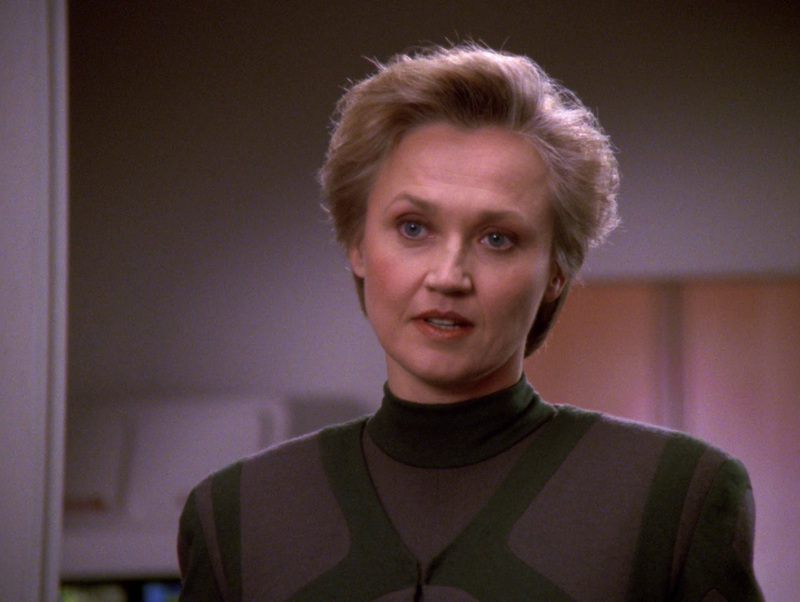 Sabin Genestra was the assistant to retired Admiral Norah Satie during her witch-hunt aboard the Enterprise in the episode "The Drumhead." And Captain Go was a close personal friend of Captain Leeden of the U.S.S. Juno, the starship that was destroyed in the Rashanar Battle Site, seemingly due to the actions of Captain Picard earlier in this miniseries. Needless to say, the odds appear to be stacked against a fair ruling for Picard and his crew. Montgomery Scott, head of the Starfleet Corps of Engineers, seeing this bias, volunteers to be a part of the inspection team as well. Included in the inspection team that will evaluate the Enterprise and her crew is Dr. Toby Russell, one of a number of team members who seem to have a bias against Picard and his crew. Meanwhile, following the surprise resignation of Federation President Min Zife in the previous novel, the race to replace him has been heating up, with two candidates at the forefront: Fel Pagro and Nan Bacco. Pagro's campaign is marked by an agressive stance towards the Klingon Empire, while Bacco's campaign espouses a preservation of the Klingon/Federation alliance and an emphasis on peace making. I really enjoyed this focus on the politics of the Federation, and following a presidential campaign was a fun way to get a look at the nuts and bolts of the political process in the Federation. I still have not read Articles of the Federation, so I am very much looking forward to more storytelling in this rich arena. While all of this is going on, a crisis is brewing on the Klingon homeworld. 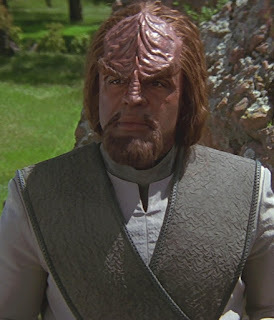 The Emperor, Kahless, has gone missing, replaced by a hologram. Seizing upon this, a group of radicals capture the Federation embassy on Qo'noS, trapping the embassy staff along with Alexander, Worf's son. 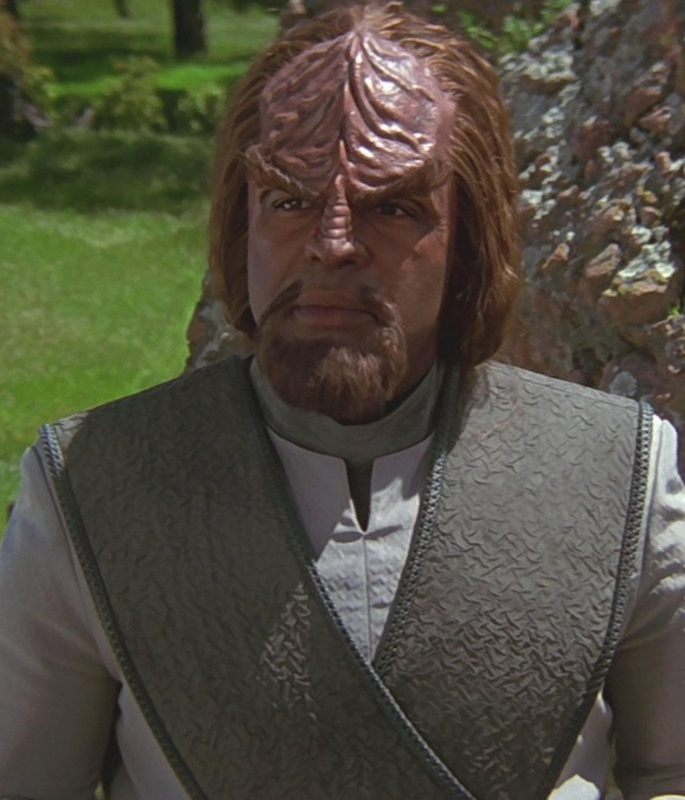 Worf himself has managed to elude capture, and finds himself having to take on the terrorists himself and recapture the embassy. This was a really fun part of the novel, with Worf acting as a sort of John McClane figure, or perhaps Jack Bauer. It really did feel like Die Hard but with Klingons. How does that elevator pitch NOT sound amazing? Ambassador Worf gets to flex his muscles as a counter-terrorist prowling the halls of the Federation embassy on Qo'noS in the pages of this novel. The result of all of these stories running in tandem is a novel with a perfect balance between action, story, and character. Keith DeCandido has such a strong feel for these characters that the voices of the actors can easily be heard while reading A Time for War, A Time for Peace. Even a character such as Alexander Rozhenko gets some great moments as he subtly manipulates the Klingons holding the Federation embassy staff hostage. This novel is a collection of truly terrific character moments held together by a plot that was a lot of fun, and topped off with a fascinating exploration of the politics of the Federation. It's as though Keith DeCandido sat down and asked himself, "what sort of novel would Dan Gunther *really* enjoy?" As a coda for the A Time To series, this novel succeeds on nearly every level. It brings to a satisfying close all of the outstanding story elements from throughout the previous eight books, while transitioning very well into the events of Star Trek Nemesis. The end of the book actually features some events that occur after the end of Nemesis, which allows the author to deal with some of the fallout from that film while setting up the novels that follow it, in what has come to be known as the post-Nemesis novel continuity. This came as a bit of a surprise as I did not realize that this novel would deal so directly with some of the events of Nemesis. 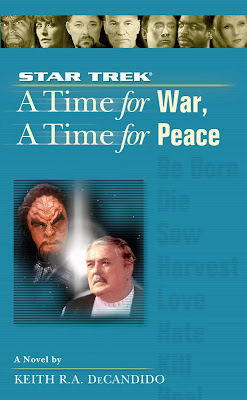 Another excellent novel from Keith DeCandido, A Time for War, A Time for Peace puts a very excellent cap on the A Time To series and sets everything up nicely for Star Trek Nemesis and the myriad changes that occur following that film. A major turning point in the lives of many of the characters, this novel puts a great deal of humanity into the story that was sorely lacking in Nemesis. Podcast: Literary Treks 252: Continuity Cop - Exclusive Interview with author Keith R.A. DeCandido! Next up is an older novel set during The Original Series: Star Trek #12: Mutiny on the Enterprise by Robert E. Vardeman.